A super dense bud that is very hairy with a sweet piney aroma, Ghost OG buds are covered heavily with trichomes giving the appearance of "snow capped" buds. This by far my favorite strain of og. Very very potent, super strong smelling, and looks phenomenal. I recommend this strain to any indoor grower looking to have some of the best smoke around! Story: Ghost’s cut of OG Kush is a legendary clone-only cut that was possessed by OverGrow.com forum member known as “OrgnKid”, who then passed it onto another forum member known as “Ghost”, who then passed it on to a few select individuals. 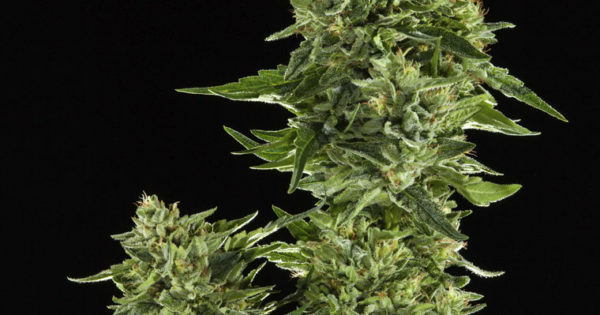 It’s thought to be an off-shoot of the Triangle Kush, which came out of Florida in the early 1990′s. Growing Tips: Top early and often as she will continue to grow vertically after flipping the lights to a 12/12 cycle. She&apos;s best grown in a SCROG-style grow and should be pruned heavily on the bottom to fatten up the top. Dark Heart Clones - Natural Cannabis Co.